Is Financial Wellness the Right Thing to Do for Your Company? You’re probably already aware of the facts about the personal finance crisis in America. By almost any measure, the average worker is in pretty bad shape financially. As an employer, that’s tough information to swallow. It hurts not only your heart, but your day-to-day business as well. So it’s natural you’d be on the lookout for ways to reach out and help your own workers with their money struggles. We believe the best solution for this problem is a financial wellness benefit focused on behavior change and durable new habits around money. And we’ve seen some incredible results when companies provide that kind of program for their teams! But you might still wonder if it’s your place as an employer to get involved in something as personal as your employees’ finances. If that’s on your mind, you need to know how many people already trust their employer for advice on money. While looking into the issue of retirement readiness in 2016, Ramsey Solutions Research discovered that the leading source Americans look to for retirement education is their employer. (5) The same report showed a strong correlation between how much an employee had saved for retirement and the probability they had access to employer-provided retirement education! The bigger the nest egg, the more likely employees were to agree they had learned about retirement from an employer or human resources. And although money can be a sensitive subject for many, it’s not that surprising to discover how many people trust those they work for to be reliable guides to better financial wellness. After all, you’re their partner in business and their main source of income. It just makes sense they’d want your input as they take care of their most powerful tool for wealth building. With that level of trust in mind, let’s explore why adding a financial wellness benefit is absolutely the right thing to do for your company. Do Employees Want a Financial Wellness Benefit? More than just retirement planning. For the third consecutive year, the top priority for companies was to help workers with their financial wellbeing in ways that go beyond the question of retirement. That means among other things that companies are discovering how annual seminars about a 401(k) or the offer of one-on-one meetings with a financial advisor are not doing the job of securing real and lasting financial wellness for their teams. Employees want your help. 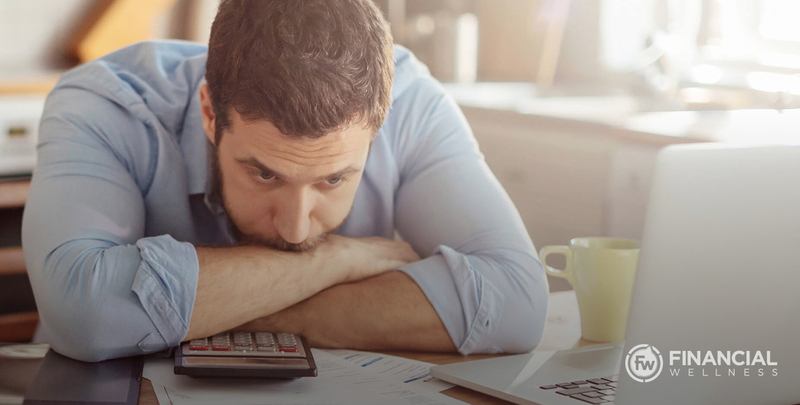 In a business of almost any size, you’re sure to have seen and heard stories that line up with the stats above regarding widespread financial stress. And you’re just as likely to have seen business impacts of that stress in the form of payroll advance requests, wage garnishments, unplanned absences and 401(k) loans. The Aon Hewitt report confirms what we all know—over a third of respondents said a key reason they want to add or expand a financial wellness benefit is because they know their employees want it! How Could a Financial Wellness Benefit Help Your Company? So we’ve established that employees are in some pretty deep trouble with money, they trust you for education on how to get out of it, and many companies are moving to address the need with some kind of financial wellness benefit. What about your company? Chances are a good portion of the people you employ fit the profile of the financially stressed American worker. It’s the sad reality facing so many people today. If you’re looking for a way to help them, you’ll be encouraged to know that the financial improvements aren’t limited to workers—we’ve seen how employers benefit just as much when they offer the right program! All of those metrics and more could be trending in a healthier direction for your company when you get serious about helping employees do the right thing with their money over the long haul. How Does It Help Your Workers? We’ve seen from the retirement study above that educating employees around retirement correlates with higher retirement balances. Specifically, 47% of those who had saved between $250,000 and a million had such access, while just 15% of those less than $1,000 saved had it. (6) But it’s important to keep in mind that retirement is only one of several components to true financial wellness—and it shouldn’t be seen as the main one! Far more important is the paradigm shift that must happen in how employees see and interact with money. In other words, big-time behavior change. By now you’ve heard us mention behavior change several times. To understand why we emphasize it so much for true financial wellness to happen, think of other areas of life where people make a lot of goals for themselves—things like losing weight or stopping smoking. Just like goals for paying off debt or saving more money, the key to achieving them has a lot less to do with stats and math and a lot more to do with behavior and the power of follow-through. For example, citing stats about disease or death associated with tobacco usually aren’t enough to inspire a smoker to quit. They’re much more likely to stop forever if they hear stories from others who have had success doing so themselves. Or to lose weight, it’s more inspiring to read about and see results from people who have experienced it themselves and can testify how it’s improved their lives. From there, the possibilities really open up for your employees. And it’s the kind of behavior change you can bring them with the right financial wellness benefit. Big financial turnaround on the employee level quickly ripples into even bigger positive impact for your company!